If you’re looking for Atlanta Crane Operator Certification Training, it’s most likely because of the 2017 OSHA Mandate. Crane U is the affordable choice to ensure you get qualified and certified. The program content for Certified Crane Operator is the same however, the Instructors are not. Ours are veteran Crane Operators with real world experience, not just book knowledge. Do you need a local Crane Certification School in Atlanta? Come to us or we come to you! All over Georgia, Crane Operators and companies like you are scrambling to meet the upcoming OSHA deadline next year. Unfortunately, there aren’t very many local options for qualification training. Finding the best Atlanta Crane Operator Certification Training Courses just got a whole lot easier. At Crane U, our locations are an easy drive from the Peach Tree City. Even better, we can bring our industry proven crane trainers to you. Practical Exam. During this portion o f the certification process, you’ll have physically prove that you possess the required skills to actually operate a crane. Written Exam. For this portion, you will be tested on common crane operation knowledge, responsibilities and safety. 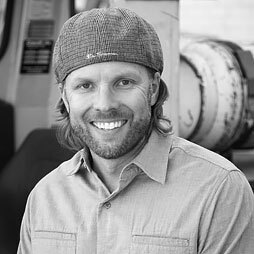 Is it possible to find an affordable crane operator certification course? You bet it is! 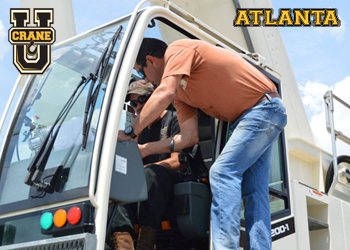 As a matter of fact, our low prices for Atlanta Crane Operator Certification Training costs less than you think. We keep our pricing fair and reasonable because we know that every penny counts in this economy. Besides, we’re professional crane operators just like you, with families to feed and bills to pay. Don’t let the low cost Crane Operator Certification Training fool you. The quality you get from our instructors is among the best in the country. We care about properly training you or your crew in the safe operation of cranes of all types. We specialize in affordable Atlanta Crane Operator Certification Training for Crane Operators and the companies who employ them.